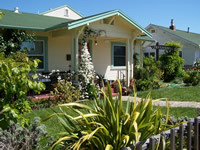 Most established homes fall into this category unless landscaping was done thoughtfully in the beginning. 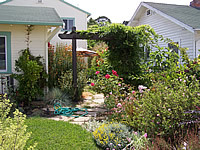 A patio, deck or retaining wall may already be in place. The addition of planting and an architectural element may be all that is needed to really make it shine. Sometimes something was done wrong by an uninformed but well-meaning tree planter, and the garden has gotten out of hand. 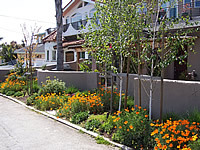 Sometimes restoration of an improperly pruned tree or hedgerow is needed. 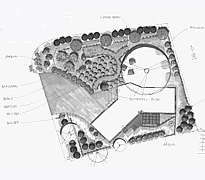 There is a garden to suit every budget whether it is an entire redevelopment of a commercial property, establishing a new landscape for a newly built home, or just getting the timing right for broadcasting seed for a wildflower meadow. Answer a few questions and get a free estimate for your project! Nikos Lynch is an honest, dependable and wonderful businessman and truly cares about his clients needs. 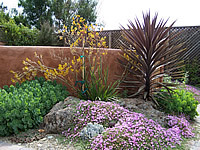 I would recommend Terra Bella for all your landscaping needs, large or small. Just over a year ago Nikos designed and installed my garden - and I couldn't be more joyous about it. He was able to figure out exactly what I wanted and designed something that I will enjoy for decades. Nikos worked with me and heard what I thought I wanted to do. He knew how to help me make design choices that ended up making me happy. When we approached Nikos, we had a very tight budget and lots of grand ideas. Through imaginative yet careful design, Nikos was able to tailor our vision to meet our budget giving us the backyard of our dreams. One of the best and most ethical landscape contractors I have worked with. You are in good hands with Nikos from Terra Bella. Nikos's crew is top-notch and a pleasure to have around. Terra Bella is a company that offers great customer service, detailed knowledge, a strong work ethic, sheer artistry, and something truly rare--soul.